Additional shelving titles for this one could be: Requires Chocolate (Because Professor Lupin Said So), Have Your Tissue(s) Handy, Even Adults Can Enjoy Illustrations, Everyone Should Read This. 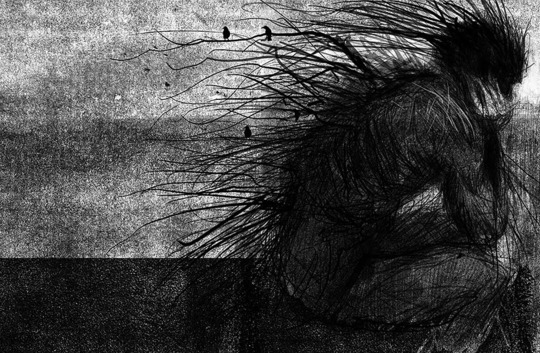 A beautiful story about love, loss, holding on, and letting go... and a breathtaking monster that "goes walking" only in the most dire of circumstances. In this instance, it's for Conor O'Malley as he & his family watch his mother lose her battle to cancer. This book was not what I thought it would be - it was so much more. So lovely and heart wrenching and full of lessons and metaphors and humor and things that make you THINK. It's always a treat to read a book with such a well-crafted story and told in such beautiful words. 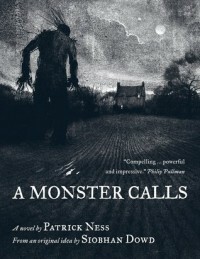 My reader's gratitude goes to Siobhan Dowd for her idea, and Patrick Ness who ran with it & made all sorts of trouble.